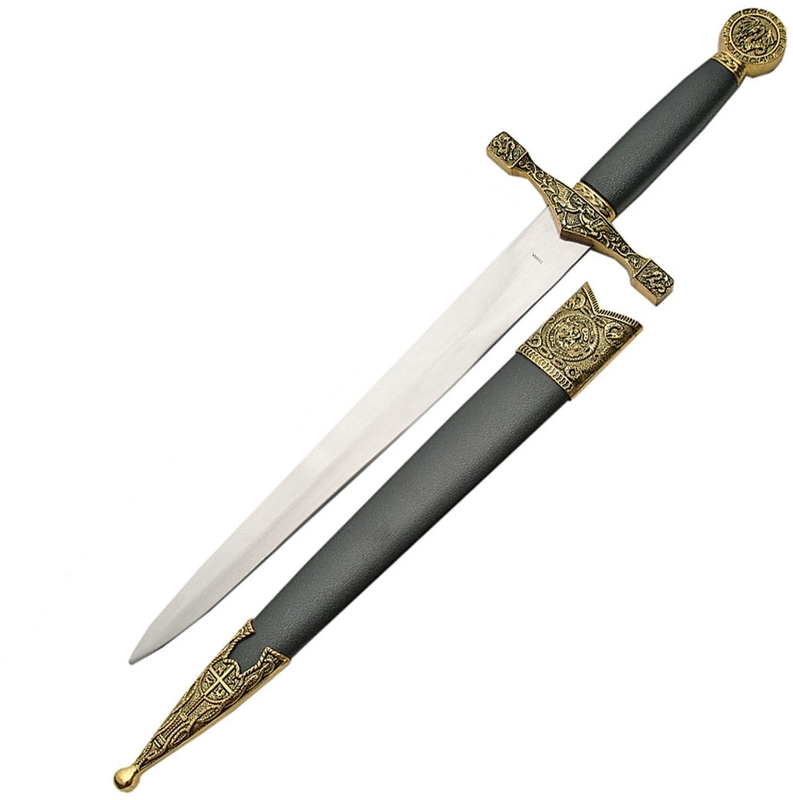 China made cn211347 excalibur dagger. 14 1/4" overall. 9 1/4" stainless dagger blade. Black composition handles with antique gold finish guard and pommel. Black composition scabbard with antique gold finish mounts.